How to improve the night vision of your covert camera? - A blog about IP video security solution. A blog about IP video security solution. 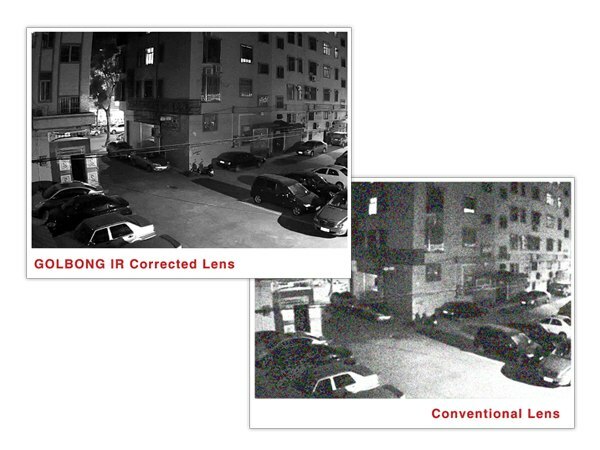 Covert Camera JOE ZHANG Night Vision PRODUCT MANAGER How to improve the night vision of your covert camera? How to improve the night vision of your covert camera? When we mention covert camera or hidden camera, it always reminds of the "spy" purpose. However, people are applying covert cameras to broader applications these days, such as facial capturing. With proper setup on the eye level position, covert camera can capture facial detail, like ATM camera, height strip camera. In the area with high crime rate, a covert camera can deliver value forensic evidence. Burglars may avoid the CCTV cameras' shooting angle and find out your recorder. Once they grab your NVR, you lose all the evidence. Mixing a covert camera to CCTV system will increase the system's reliability. You still have your footage in the memory card within the covert camera even the primary recording system is destroyed. Night vision is one of the important functions if you want your covert camera to play as primary surveillance device. Otherwise the camera will turn into blind at night. However, night vision is a big challenge especially for covert cameras. Most of covert cameras are equipped with 3.7mm pinhole lens. Only few lights can pass thru the pinhole lens. Some hidden camera has been added with several invisible LEDs to improve night vision. This solution doesn't help much, because the invisible LEDs only generate around 60% power of visible LEDs. That means it needs a lots of LEDs to produces the fair image at night. Built in too many LEDs will shorten the use life of covert camera and affect the CMOS sensor's performance. If you find your image is over brightness at night without objects scratch, the heat causes the problem. Covert cameras are hidden inside a small space or plastic housing, which makes the heat issue even more serious. How to improve the night vision of covert camera? First of all, you needs quality sensor to capture more light at night. Like human eye, one person can see clearly if he or she has better visual capability. 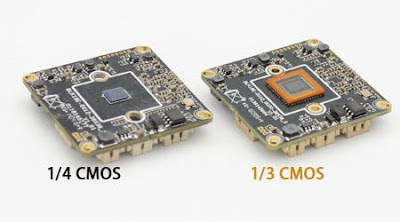 Choose the camera with 1/3 CMOS instead of 1/4 CMOS. The bigger the sensor's size is, the more light the camera can capture. Select covert camera with true day and night functionality, you can have quality image both day and night. Some covert cameras are equipped with IR filter to eliminate the infrared which will damage the cameras' color reproduction. Cut the infrared completely only solve the issue at day, however it makes the camera blind to infrared at night. You need the camera with true day and night functionality which will cut the infrared at day and see the Infrared at night. The camera also needs to understand the difference between the infrared and the visible light. Otherwise the camera will keep switching back when it saw infrared at night. With true day and night functionality, you can add external invisible infrared LEDs or getting the IR from your existed camera to have very good night vision. PIR lamp is another solution. 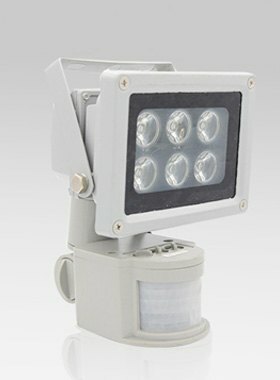 It not only provides the good illumination but also generates deterrence when the burglars approach to your camera. The PIR lamp will pop on unexpectedly. With proper setup, the covert camera can be powerful in your surveillance system, not only servicing for "spy" purpose. Glad to know it is helpful. Awesome, very helpful, thank for sharing.